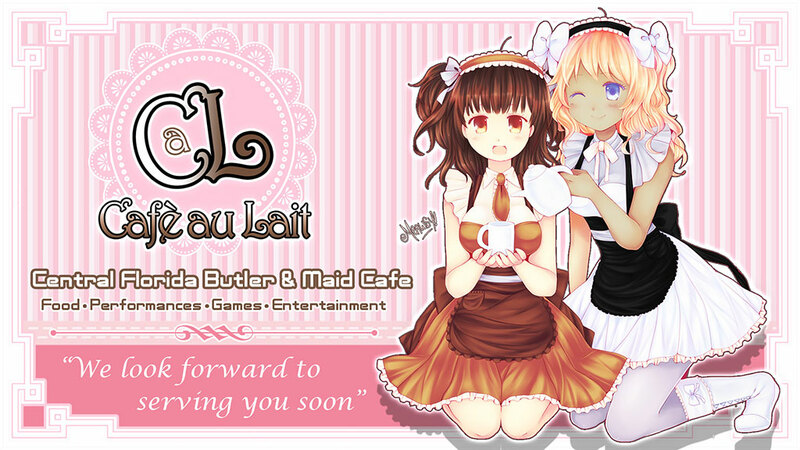 Welcome to Cafè au Lait, where our maids & butlers serve and entertain you! Cafè au Lait is a group that caters to our community by hosting events that make you feel right at home. With our professional yet friendly approach, we strive to keep a personal authentic connection with all of our guest. Our goal is to make you feel special and apart of our community. We love to try new things so you will see us hosting all sorts of events but we mainly try to give you the best Maid Cafe experience. Times: Various throughout the weekend. *Menu subject to change. All snacks are pre-packaged and come in assorted flavors. Snacks may not leave the Maid Cafe area in the Table Top Gaming Room. Be considerate to those around you. If for whatever reason there is a disturbance that causes the people around you to have a bad time, we have the right to remove you (and anyone else involved) from the cafe without refund/reimburstment! This also applies for any other rules that are broken. You are not allowed to ask our maids/butlers for any personal information both in and out of cafe hours! If you wouldn't ask a person on the job (because they are busy and its the polite thing to do) then you shouldn't ask our maids/butler! 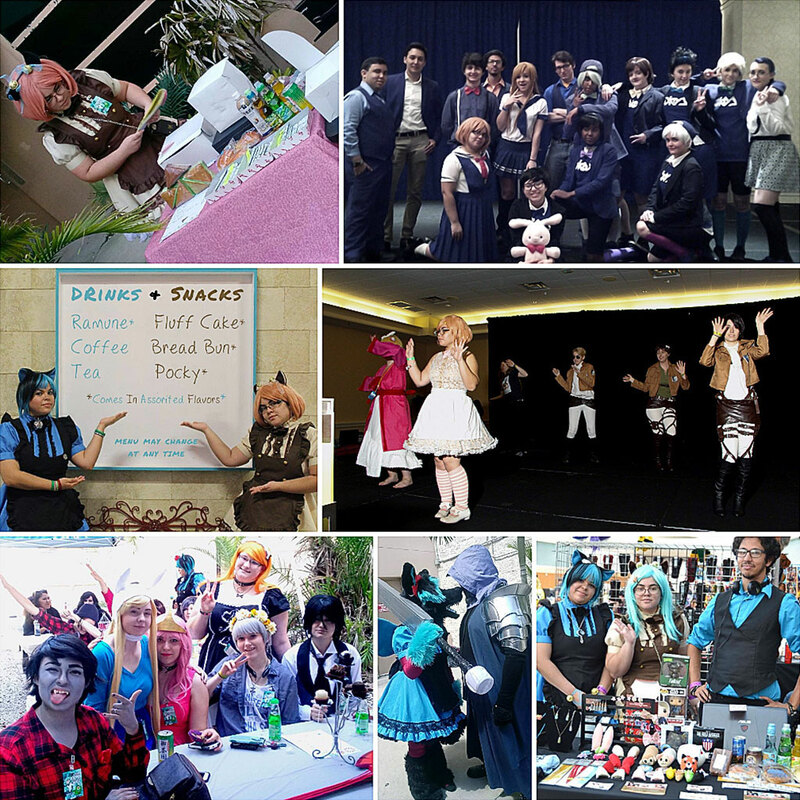 We are here to enjoy the con just like everyone else and work really hard to make everyone enjoy their time. You are not allowed to touch our maids/butlers for any reason unless they have specifically give you permisson. Any inappropriate physical contact or harasment may involve you being removed from the cafe, the convention, or having authories called. Please be very respectful of our maids/butlers. I asked for Butler-Kun’s phone number but he told me there was no point why is that? Our butlers and maids come from another dimension with no real contact to your world. We only interact thanks to our short-term portal. If you really like to know more about our members you can always come to our next event! Oh no, I was a bad Goshujin-Sama and Meido-Chan kicked me out. What now? Breaking the rules will sadly have to make us remove you from our event. If this is happens, you will not be allowed back in nor reimbursed for your Omni Fandom Expo ticket. What other events are you doing? Come see us twice a day at the tabletop room to enjoy some snacks and games to experience our Main Cafe event. There will also be several meet ups as well as interactive game panels so come check them out! But wait I still have questions! Please check out our facebook page and look at our event tab. All information on our events will be there so feel free to let us know your concerns and we’ll be glad to help you.